A career in vlogging: Do you have what it takes? In order to become a professional vlogger, you have to be passionate, disciplined and believe in yourself — think you have what it takes? media update’s Nicole van Wyk delves into the vlogging world and explains how you can enter this space. To put it simply, vlogging is digital storytelling done by people known as ‘vloggers’. Creatives in this industry record videos and add effects to create cool content for their viewers. Who can be a vlogger? Vlogging appeals to people who want to share their personal experiences, commentary on anything from the latest fashion trends to current affairs or instructional-based content — such as makeup or cooking tutorials, and everything in between. Anyone can be a vlogger, but not anyone can make a success of it. In order to generate money and make a career out of it, you need to ensure that your vlog gains enough traction to attract the attention of companies that (hopefully) want to advertise on your channel. Before you enter the vlogosphere, you need to consider what your brand image will be and how you want it to look. You can decide on your image by brainstorming ideas about your vision and mission statement — this will help you to stay on track so that you don’t produce irrelevant content. You need to decide what the focal point of your vlog will be as well as the demographic you’d like to appeal to. If you choose (and remain committed to) a specific niche, you will gain a steady following and your viewers will always be interested in your content. Vlogging doesn’t necessarily require expensive equipment to get started — you can use your cellphone to record your videos and download an app where you can edit your work. Once your channel has grown — and you're able to invest in new equipment — you can start thinking about making some upgrades. 1. The vlogger — that’s you — sits down to brainstorm content ideas. Whether you have a team, or if you’re a one-person show, it is absolutely necessary to plan. 2. You then decide on a topic you want to cover. 3. You prepare a script. Some scripts may be more detailed than others because vlogging is topic and style dependant. 4. You choose a location that fits the theme of your video. For example, you could shoot a theatre review vlog in the foyer of a theatre. 5. Now it’s time to record your vlog. So get your equipment — such as your camera and voice recorder — ready! 6. Editing is the final stage. You can add background music, images, text or anything else that will enhance your video. 7. Once you have wrapped up the editing process, you need to decide which social media platform to post your video on. This is dependant on the platform your audience uses most. Although people are able to watch vlogs freely online, loyal viewers will often decide to follow a particular vlogger and become subscribers. Subscribers watch their favourite vloggers for a number of reasons, ranging from the desire to feel inspired and motivated to asking their favourite vloggers for advice, or simply for entertainment value. There is a large portion of the vlogosphere devoted to learning in the form of tutorials — or ‘edu-tainment’, if you will. Vlogs are a great source of information on your favourite topics — you can search for and find tutorials on just about anything in this space. Vlogging creates a sense of belonging for many people. Communities are founded on the basis that everyone watching the videos relates to each other as well as the content being shared. People feel connected to vloggers because, for the most part, they’re a reflection of themselves and are generally seen as ‘normal’ people living a life not too far removed from the viewers’ reality. Vloggers wield immeasurable power online because people are interested in consuming content they can relate to regardless of how mundane the details shared may be. For example, you’re more likely to relate to a vlog about grocery shopping frustration than you’re able to relate to a celebrity needing to service their private jet. The average person is not faced with this sort of dilemma because it’s simply not affordable. This is why we continue to see a shift from traditional advertising to influencer marketing. Vlogging is a marketing game-changer, and companies are beginning to realise how important influencer engagement is with their clientele. Maintaining a close relationship with clients via an influencer they find relatable can boost your brand image and sales because you know your consumers’ likes and dislikes. Thinking of monetising your vlogging content? 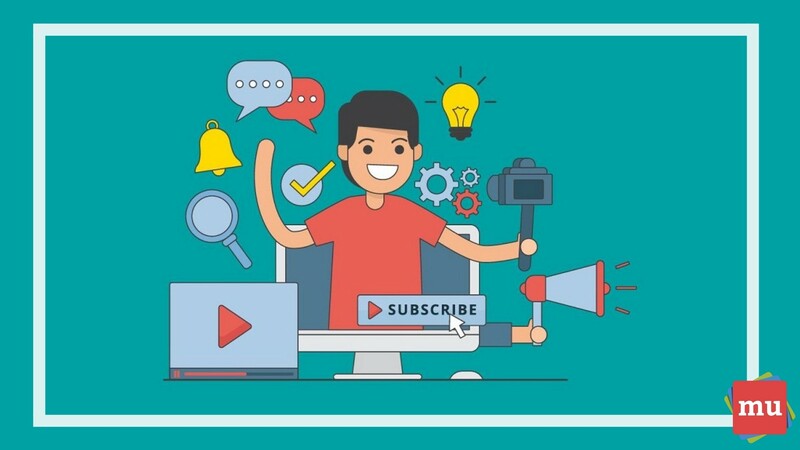 Check out these YouTube tips and tricks digital marketers need to know. Vloggers are already giving television producers a run for their money, as more and more viewers opt to watch vlogs because they can gain access to, download and watch their favourite vlogs in their own time as opposed to following a fixed TV schedule. Vlogging doesn’t require as many resources as a television production would, which means it’s easy to create and share on a platform that’s easily accessible. Ordinary people are opting to take up vlogging as a career because creative expression is not too limited. These people will change the way we view almost everything in the traditional sense and this requires a progressive mindset that shifts away from a fixed tv schedule and moves towards personal scheduling preferences. The content that’s covered is relevant, fast-paced and responsive. Vlogging comes with flexible hours but requires discipline. You need to ensure that you meet your own deadlines and produce quality content. The YouTube space has become home to some of the most famous vloggers. According to a Livewire article, of The Top 10 Most Popular sites of 2019, Youtube is the second most popular website in the global market. This already places you at the top of the vloggers’ log because you’ll have a wider reach than vlogs posted on other sites. For this reason, it’s important to make sure that you include searchable keywords in your video title so that you become more visible. YouTube is a competitive space, after all. The platform also creates opportunities for vloggers to monetise their content. Brands and vloggers collaborate in order to gain exposure. For example, a company might suggest a partnership with a vlogger to advertise on their channel and, in return, gift them with brand merchandise. Would you consider a career in vlogging? Let us know in the comments section below.